When the air turns and the leaves fall, being nestled next to the window with a book and a blanket is where folks might prefer to spend their free time. But fall gardening goes on. Here’s what should be on your to-do list. If you have spent all summer maintaining a garden in your backyard, there are some important gardening tasks to take on before you throw in the towel on the growing season. 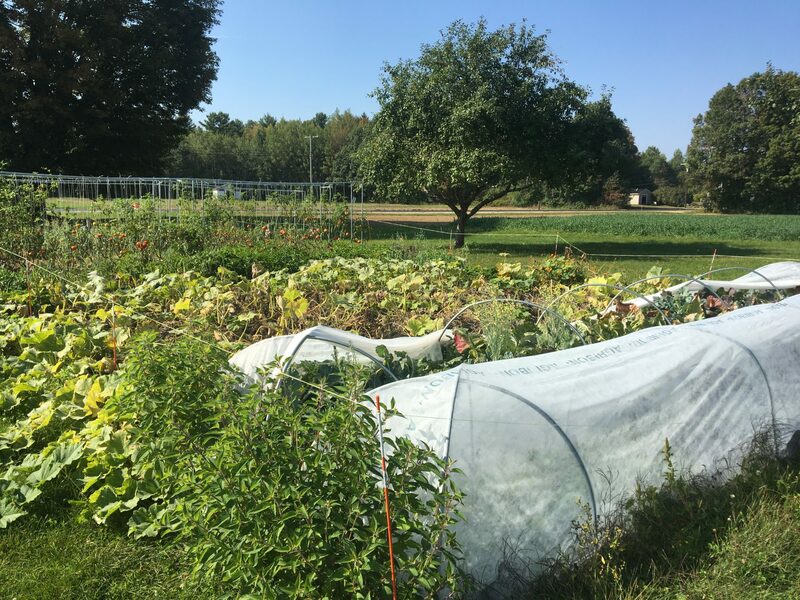 Given that weather conditions are hard to predict, Garland said it’s tough to judge what the state of most home gardens will be in terms of what crops will still be producing late into the fall. As a general rule of thumb, if a plant still looks viable keep it in as long as you’re willing to care for it. Carrots, beets and chard are all plants that can still prosper even as the weather gets colder, Garland said. Even tomatoes that are not yet ripe on the vine can be picked and placed in a warm sunny spot to ripen, though this will take longer than ripening on the vine and the tomatoes will not be as sweet. Simple season extension methods for fall gardening can also be implemented to further the production of your crops if you’re not ready to give up on them just yet. By putting a row cover ― even just a sheet ― over your crops when cold temperatures hit, especially at night, the plants will be able to grow for a bit longer than they would otherwise. However, just because the bulk of the growing has subsided, that does not mean home gardeners should slack on weeding their garden in the fall. This time of year is when weeds are producing and releasing a large amount of seeds, which can collect in your soil and stay dormant through the winter. “Some individual weeds can produce thousands of seeds per plant and if you think about that, and the fact that some of those seeds can stay viable for 30 to 40 years if not more, it’s frightening,” Garland said. If getting out and weeding by hand seems overwhelming given the current state of your garden, Garland said mowing through the rows of your garden with a lawnmower that has a bag attachment will help reduce the number of weeds that are able to seed in your garden. The more weeds you can remove from the seed bank in your soil now, the less you will have to tackle in the spring. Once your plants have passed, instead of leaving them in the ground over the winter, it’s best for the condition of your soil and your future garden to rip them out, according to Dave Colson, Agricultural Services Director at the Maine Organic Farmers and Gardeners Association said. “That gets a lot of the potential fungus or insects out of the ground,” Colson said. Garland and Colson said the fall is a great time to start banking materials for use in compost. Rather than just tossing the organic matter your rip from your garden, it can be added to your compost bin, unless the plant is heavily diseased. Fallen dead leaves are a great addition for compost and are bountiful during the fall. While Colson said they’re good to save up in a bin for use in compost during the spring, Garland said gardeners can start building a new compost pile now as part of their fall gardening work. By building a simple compost bin using four pallets or another vessel you have on hand that would allow air through the pile, folks can throw the dead leaves they have collected in the bin and add their food scraps throughout the winter. Any leftover compost from this season can also be added to your weeded and bare garden beds at this time of year as a soil additive, Colson said. Having your soil tested is a good thing to do before the ground freezes, Garland said, in order to get an idea of the nutrients in your soil and its acidity level. To get the best soil sample, Garland suggests taking several subsamples from around your garden, mixing the subsamples together and then taking one aggregate sample. The University of Maine Cooperative Extension does soil testing, or store bought tests can be purchased. The benefit of doing a soil test, is so if there are deficiencies in your soil, they can be detected and appropriately remedied before the next growing season. To further boost your soil’s biodiversity, cover crop can be planted in the fall. Good options to be planted for cover crop in early October would be oats or winter rye, Garland said. Oats in particular are great because they will die back over the winter and in the spring gardeners can just plant their new transplants among the debris of the dead oats, which acts as a mulch. One other important thing to do before you call it quits on fall gardening is to take stock of how things went this season: Which plants did well, and which did not; identifying which diseases or insects impacted your crops. The best way to prepare for a prosperous growing season next spring and summer is to arm yourself with the information to do so, Garland said.